Unquestionably, one of the most exclusive fragrance producers in the world is French The Guerlain. This brand is characterized by launching mind-blowing, innovative and extraordinary limit editions of fragrances. What does Guerlain surprise us this time with, despite inviting JonOne to cooperation? 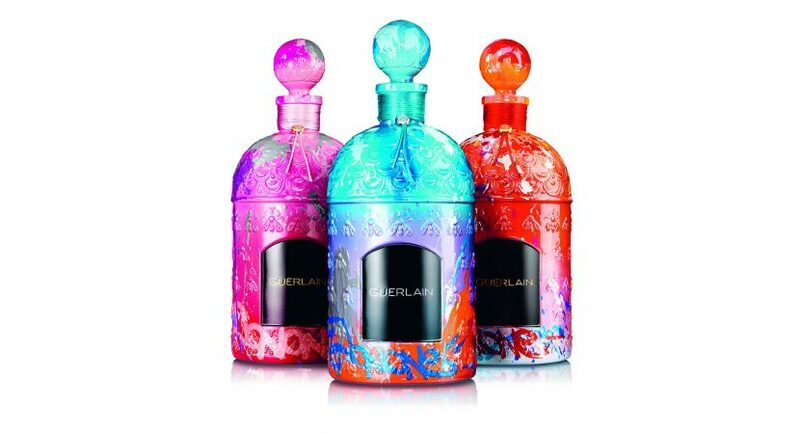 Guerlain x JonOne is an extraordinary proposition for connoisseurs. This cooperation of Guerlain and the street artist born fruit in a collection of 98 unique fragrances. What is so unique about them? The collection included only 98 phials, all of them were hand-painted by JonOne. The packages of these exclusive perfumes does not only stun with the colours but also resemble rather a small works of art than just regular phials that can be found in every store. This sensational collection of JonOne works include three fragrances. Shalimar is closed in 34 bottles of blue tones, La Petite Robe Noire in 32 pink phials and Rose Barbare is poured into 32 bottles of orange colours. All the items from limited collection of Guerlain x JonOne are connected with one thing – bee motive that is applied to every single phial as well as asymmetrical stains of impressive colours. Bees is favourite symbol of The Guerlain, therefore, it could not be missed from this exclusive collection. When it comes to the idea of JonOne, it has its origins in XIX project designed for French empress Eugenia – the cult bottle of fragrances named perfum Eau de Cologne Impériale that was decorated with 69 bees. Almost one hundred of fragranced works of art are exposed (together with other works of the artist’s) in The Guerlain Paris boutique. These astonishing phials are available on the market since February. However, only few people decided to buy these outstanding fragrances. The products from exclusive collection of Guerlain x JonOne cost around 9 000 EUR per item. Connoisseurs claim, that the fragrances are totally worth its price.